Most people own at least one debit card and at least one credit card. Although it may not seem like it, there are many differences between the two. Each time you use a credit card, you’re borrowing money. You’ll need to pay that money back to the credit union along with interest. A debit card, on the other hand, simply transfers your own money from your checking account to the vendor you’re paying. The funds are taken directly from your account in a similar manner as using checks – only quicker. Some processing terminals will require a PIN and some will require a signature. Both credit and debit cards are convenient, quick and easy. They’re also safer than cash, because cash cannot be replaced if lost or stolen. Which one should you use? The answer depends largely upon your lifestyle. Credit cards allow you to buy now and pay later. This can quickly turn into a budgeting nightmare. 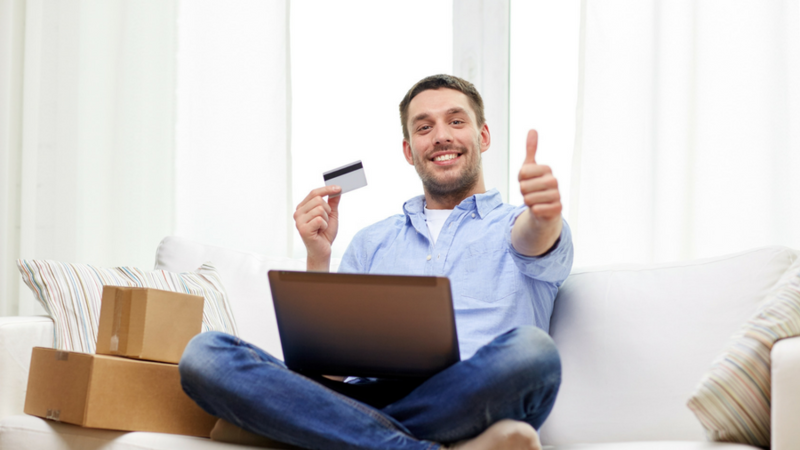 If you think you’ll be tempted to overspend, regular credit card use may not be ideal for you. However, it’s nearly impossible to incur thousands of dollars of debt through debit card usage. Most credit unions will cover purchases that put your account into the red, but only up to a few hundred dollars. If this happens, you’re accountable for your purchases and charged an overdraft fee. If you report suspicious charges within 60 days, credit card companies are obligated to investigate and restore the funds if the charges are fraudulent. They also offer consumer protection on purchases. You can always cancel a charge if you are the victim of an online scam. This makes credit cards the ideal choice for large or fragile purchases that will be delivered to your home for additional insurance on the purchase. One major draw for credit cards is the points awarded for purchases. That’s a strong advantage over debit cards. The ability to earn airline miles and the lure of a possibly free flight are attractive to many consumers. Of course, you may be paying for those miles with a high interest rate or an annual fee. Don’t get hooked on the points. Research each card carefully to make sure you’re really getting your money’s worth. Credit cards help establish or restore good credit. Occasionally using a credit card and paying your bill on time can really improve your credit rating. This, in turn, improves the likelihood of earning favorable terms for home loans, auto loans, personal loans and more. Credit card annual fees and interest add up. If you’ve overspent one month and are unable to cover the entire amount due, you may need to pay only the minimum payment. More of your payment goes toward interest than toward lowering your bill. This makes the next payment higher. If you don’t think you will be able to pay your bills in a timely manner, keep credit card usage to a minimum.